Pickled or fermented vegetables are a staple element in many cuisines and can bring a delightful pop of acid to a dish. If you’d like to start making your own house-pickled vegetables, there are Oregon food safety guidelines for restaurants you should know before getting started. We’ll go over the state food safety policies for three common processes used to make pickled products. Any non-potentially hazardous raw vegetables covered with a cool brine can be held for use indefinitely without refrigeration because there is no heat treatment of the vegetables. Cold brine pickles do not require date marking. A quick pickle, or hot brined vegetables, must be treated as potentially hazardous food once the vegetables have been heated. Once the vegetables have been brined, cover and allow to cool before storing below 41F in the refrigerator. 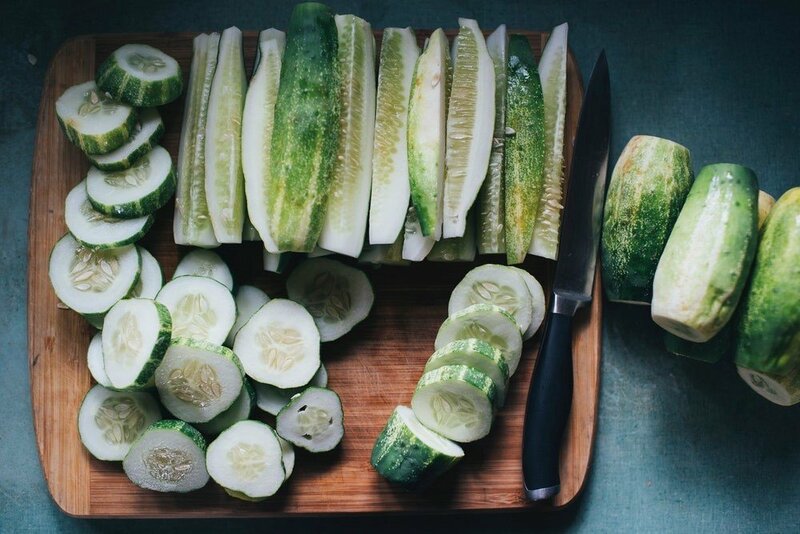 Hot brined pickles should be date marked and can be kept for up to seven days. In the process of natural fermentation, or lactic acid fermentation at room temperature, harmful bacteria are destroyed. As a result, fermenting vegetables is very safe. Fermented vegetables are not subject to refrigeration or date marking requirements, because the pH of these products is known to inhibit bacterial growth. When fermenting vegetables, storage temperature should be kept between 60F to 75F. Vegetables will not ferment in temperatures cooler than 60F. The Oregon Health Authority on Foodborne Illness Prevention recommends that the restaurants use a pH meter or pH test strips and a tracking log to ensure the fermentation process is successfully completed. Whichever method you choose, thoroughly washing the vegetables, knives, cutting boards, and storage containers prior to pickling or fermenting is the best way to ensure food safety. If you decide to pickle or ferment outside of these parameters we covered above, you will need to obtain an approved variance from the Oregon Health Authority. Canning vegetables or fermenting non-vegetable products such as yogurt, milk kefir, tempeh and meat products are examples of processes that require approved variances. For more information about Oregon food safety rules for pickling and fermentation, questions about other food safety policies for restaurants, or to learn more about our services, contact us at McDonald Wholesale today.